Jadielady: And the voting is closed! And the voting is closed! 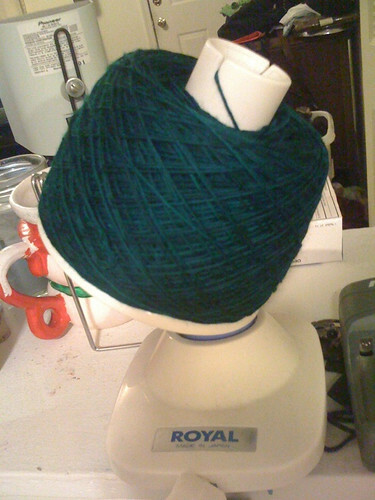 The most votes went to the dark Wollmeise, so I've wound it onto a ball and I'm about to cast on! This weekend while I was waiting to start, I decided to organize my patterns. 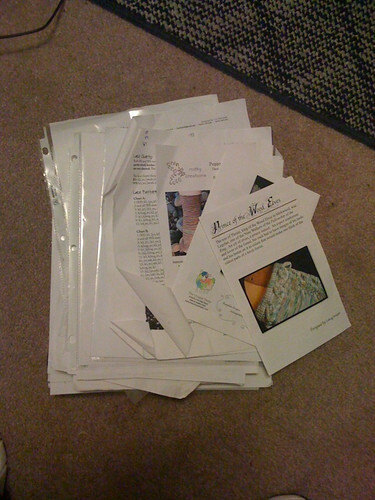 My patterns were all scattered in several places, so I got them all together in a pile. My assistants helped me to sort them, and get them all together. Some patterns I'd printed from sources like Knitty, and the charts were separate from the instructions etc. 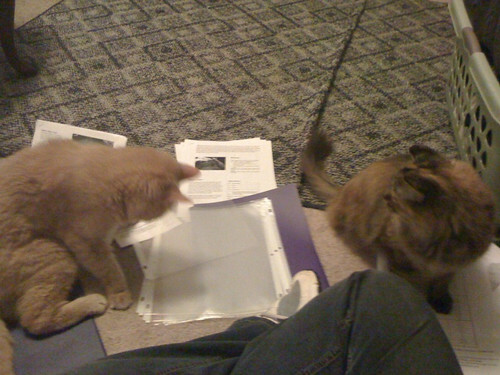 Thank goodness Kitty and Tripsie helped out! 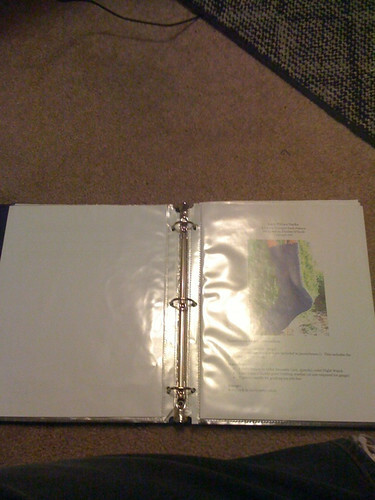 I put them each in a page protector, and put them in a binder. Now they're all together and I can put them on the bookshelf. Added bonus, I found the instructions for a VERY old WIP and now I can get back on track on it. My patterns look about the same. I even have some duplicates because I forget I've printed a pattern out/can't find the first one. I need to organize, too.